The Creek outdoor fire pit table is a casual contemporary addition to your backyard retreat. Wood grain look of the round porcelain top speaks of natural beauty. 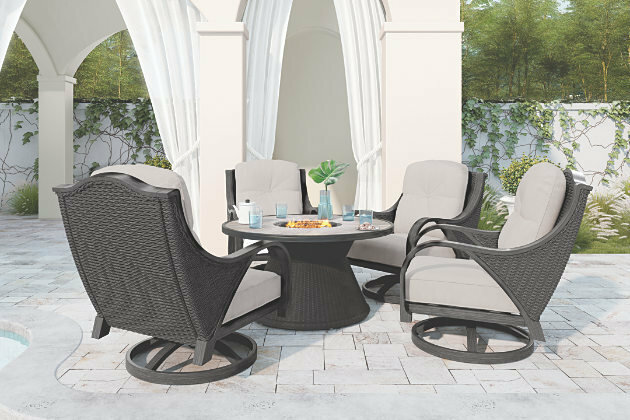 Resin wicker base with rust-proof aluminum frame keeps its appeal in all-weather conditions. Light up and adjust the flame in style. Assembly of fire pit table provided with in-home delivery.